I have always had a sort of funny relationship with my macro lens in my photography and video lens collection. To me, the macro , is a lonely beast. By this I mean that for the all but the macro photographer, the macro is a lens that stays huddled in the far reaches of one’s lens collection and, just when you feel that it is time to get rid of it to make place for the next latest and greatest piece of gear,….you need it. When I say “need” I mean “need” in a bad way. Macros are not lenses where you can accept less than par like a bloggers lens, walkabout lens or a b-roll lens. The images they create must be tack sharp, right on, and emanate quality. Let’s face it. Whenever you are pushing into a shot, be it for photo or video, the lack of crispness, color rendition, and resolution stand out like a sore thumb. So the financial conclusion is that a macro lens is a lens that is a necessary evil and a necessarily expensive evil. 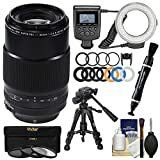 Therefore, knowing that you the reader are probably reading this article to decide whether you are going to fork out a grand on a lens or not, I will do my best to bring you to the right conclusion on the Fujinon XF80mm f/2.8 LM OIS WR Macro. Although, my experience is somewhat limited on this lens, I think I have used it enough to know its good and bad points. What is the Fujinon 80mm f/2.8 macro? 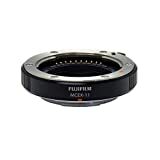 The Fujinon 80mm macro is a Fuji X mount lens that offers 16 elements in 12 groups, in all, these elements there is 1 aspherical element, 3 ED elements, and one Super ED element. With the APS-C crop factor it is basically a 122mm full frame focal length equivalent. 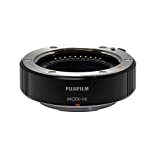 Its weight is 750g which is not surprising as it is a quality lens with image stabilization. Quality, and image stabilization mean weight. Plain and simple. 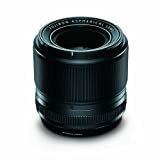 It has a maximum aperture of f/2.8 an a filter size of 62mm. Among the cool things on this camera are a floating focus system and a rear focus group. Length of the barrel is constant. All focusing is done in the lens. This lens also features a OIS system to suppress shift shake. Fuji claims a full 5 stops of image stabilization. Other claims are quiet focusing via its linear motor. It is also water and dust resistant boasting 11 dust resistant seals. All these claims I can tell you are well founded. In my experience, the lens was found to be quick and accurate and focusing was indeed silent. Stabilization was also very impressive. Build quality and ergonomics of the 80mm is hard to beat. It features a fantastic aperture ring, huge quality rubber coated focusing ring and a fully metal lens mount system. It is indeed built like a tank. Fuji also took into consideration the workflow of macro photographers by paying close attention to the feel of the focusing ring on this camera. It is one of the best manual focus feels I have had on any Fuji lenses that I own so far. Overall focusing speed and capacity to respond to small focals is great. Although I did feel some focus hunting at times, it was mostly due to my not setting the lens distance switch on the side of the lens in the right spot. Images for both macro and portraits blew me away. Bokeh that you’d expect on a high quality macro lens is there. It is indeed softer and creamier than I have seen from any Canon offering I have used, bar none. Images are characteristic of the whole Fuji line. Sharp crisp images with fantastic color contrast and little to no distortion or softness around the edges. Should you buy the Fujifilm 80mm f/ macro or not? My general conclusion with this lens is that its ability to capture both macro shots and render a beautiful bokeh effect, for any part of your workflow, is second to none. If you feel that there is a big enough need for an excellently rendered bokeh in your photo or even video workflow, this lens might be great for you. It does cost a pretty penny and might need you to find not only the bucks to use this lens but also the workflow justification to fork out 1200US dollars for this lens. Again macros are not always needed but when they are they really are. So here is a recommendation you just might not expect. Should the all around photographer by the Fujinon 80mm f/2.8? Because of the nature of this lens, you might want to think of leaving it in your rental arsenal. Because it is not always used, it is a lens that might take a little too long to show its payback value. But if you rent, you will not feel the financial bite as much as when you buy. Get the rewards without having to answer to a collection agency is what I say. Should the macro photographer buy the Fujinon 80mm f/2.8 R LM OIS WR Macro? The answer is a resounding hell yes!